It's so exciting. I would have done this earlier if I knew there were agents like you out there. Tracey, Carol and I just want to thank-you for your hard work and dedication in selling my dad's house for us. You are a gem. Everything went well just as you promised it would. We would highly recommend you to anyone else wishing to sell their property. Tracey Moore has represented me in three real estate transactions and is the first person I will call as long as she remains in this business. Her professionalism is only outdone by her personality. 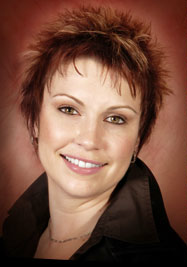 Tracey is a leader in her field and is the type of person that will be successful in any field she chooses. Thank you so much for the referral to Tracey Moore. She is delightful. And she worked really hard to market my home. She uses a professional photographer, puts a lot of effort into the marketing using a variety of channels and she did a lot of research so it was priced right. I feel like I got a fair price and at the same time it didn't linger on the market. Tracey would be a good agent for future referrals. You did such a great job and helped me keep my sanity through this whole thing; we would love to have you help us again if we find the right property. Thanks so much for all your hard work! You are one in a million!! Thank-you so much for everything you've done for me and for helping me find my first home. You will never know how much I appreciate it. You are so kind and generous. I was totally taken aback. I want to thank you again for thinking of us and everything you have done. There is no way we could have done the whole house thing without you. In a time where we were crazy stressed about possibly the biggest purchase in our lives you were there to help us through it with ease. You are an amazing agent and be assured when we are selling and upgrading you WILL DEFINATLY be our agent. I have had more than my fair share of real estate transactions: as a homeowner I’ve been buying and selling houses for 9 years and as a Decorator providing home staging I’ve dealt with hundreds of transactions. What has stood out glaringly for me was the poor level of service and professionalism provided by many of the sales reps. When I recently sold my own house in Courtice I met Tracey Moore. Tracey was representing the buyer. Tracey completely impressed me…which rarely happens. The kicker…I didn’t have her on my side! With customer service, satisfaction and genuineness missing from most business encounters Tracey really stood out as a breath of fresh air. She’s outgoing, knowledgeable about the market and professional; but she’s also incredibly easy to be around! Thank you Tracey for your hard work in helping us find our "home". After looking for many days, we finally found the perfect house that suits our family's needs as well as our budget. You're soooo patient! We also appreciated your quick updates regarding possible new listings. We would highly recommend you to any of our friends & family. You are a friendly and hard working agent. It was a pleasure working with you. Again, thank you for your great work! You have helped us find our new dream home and we are so excited. You're an amazing agent and were glad to have you on our side selling the house. Thanks for making everything so easy Tracey. You were great. You deserve a lot of credit for your organizational skills and dedication on our behalf. You made us feel calm and well assured that everything was being taken care of. You were exceptional to work with and your honesty and level of commitment put us at ease. It was a pleasure to work with Tracey, she sold our house in 6 days and worked hard to find us a new place that would be a "home to us"!!! In one word to describe her working for us "OUTSTANDING!!!!!!" Thanks again Tracey!!!!!!!!!!! You outdid any other agents that we have dealt with in the past. We look forward to the future working with you. Mike and I just wanted to say thanks for stopping by and for the amazing house warming gift as well as all your help finding us this place. We really enjoyed working with you and hope that in the future we can work with you again. Thanks so much again for EVERYTHING! We were lucky to find you and know that it is your positive attitude that helped us find "OUR HOME" in Toronto. We couldn't have asked for a better and more positive experience. Thank you very much Tracey Moore for all of your hard work and assistance in selling our house. We found you to be very professional and an excellent people person. Thank you also for conducting the two open houses which resulted in the sale of our house. We are very happy with the service that we received from you and Keller Williams. Without your assistance we believe our house would still be on the market. Tracey made purchasing our first home a wonderful experience. Her enthusiasm and hard work made the process easy for us. She truly cares and did her absolute best to make sure that the home that we bought was perfect for us. Just a little something to say a great big thank-you for bringing the offer in. Your time, effort and professionalism are greatly appreciated and I look forward to sitting across the table from you again in the near future.